Suitable for both indoor and outside play, stimulate the imagination of little ones and fill their minds with adventure by bringing the Chad Valley Treehouse Play Den into your garden or living room. 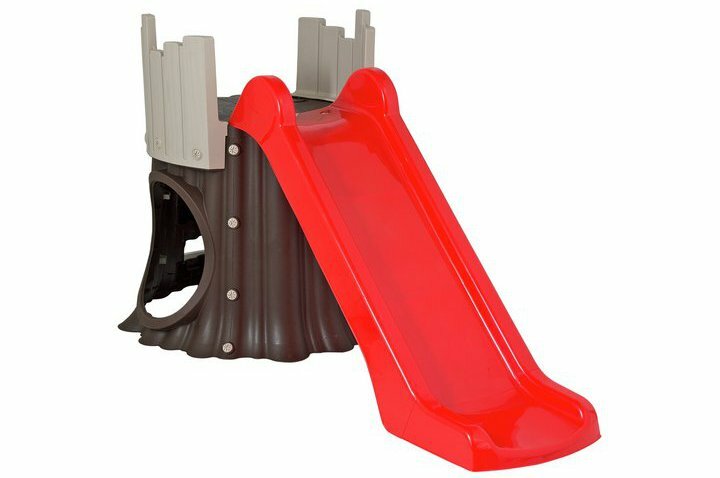 This easy to assemble and waterproof treehouse shaped activity centre comes with a slide and a secret den (shhh...don't tell anyone!) so your most cherished can bring their fantasy roleplay adventures to life. Size H105, W98.8, D212cm. Get money off with April 2019 free Argos voucher codes, see if there's a promo code for the Chad Valley Treehouse Play Den product. Argos may be out of stock of this product. To enhance your shopping experience you may also be redirected to a search results page when you click an outbound link. 4.5/5 from 4 recent reviews.